Following our latest look at the Supreme x Air Jordan 5 collaboration, more collaborative news with the two brands has just surfaced! Jordan Brand and Supreme aren't stopping at the three Jordan 5s set to release. 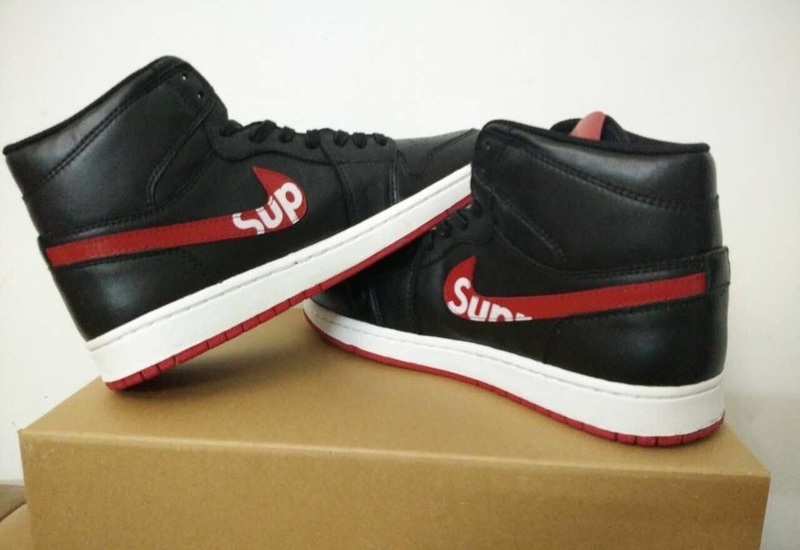 These new photos of an Supreme x Air Jordan 1 collaboration suggest that the two have more in mind for JB's 30th anniversary. 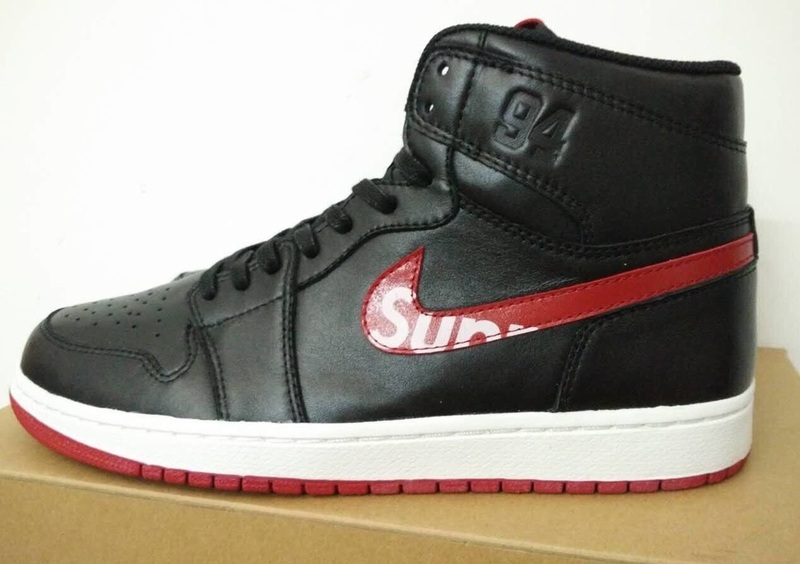 The Supreme x Air Jordan 1 looks to be predominantly covered in black leather with red on the swoosh and outsole. White on the midsole balance things out as it matches the "SUP" branding on the swoosh. 94 embossed on the ankle signify Supreme's year of establishment and also finishes the sneaker's look. 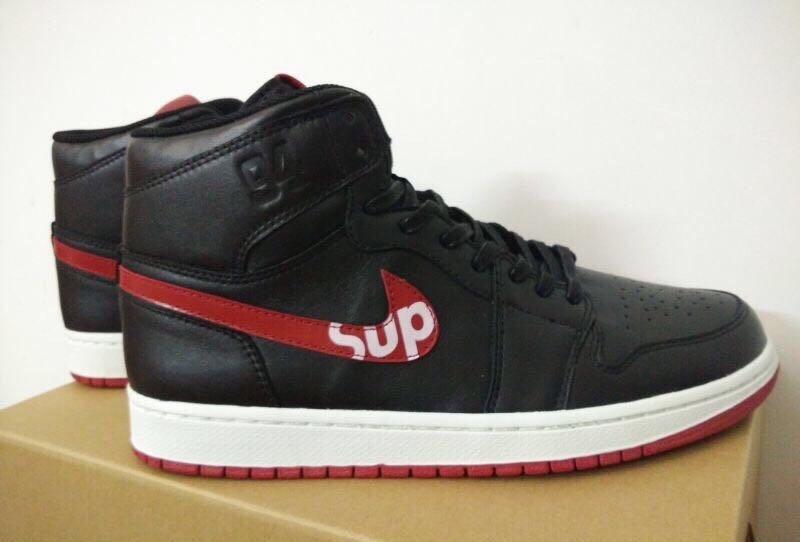 This is the first we're seeing of the Supreme x Air Jordan 1, so stay tuned to SneakerShouts as we keep you updated with the latest info! In the meantime, let us know what you think of the sneaker below.